Annnnnd we’re back. It’s a fresh new season of CommanderCast and since everyone loves cycles, I’m happy to announce that this season of Staple Remover will include a five article cycle with five new decklists to enjoy. Throughout this season I will be including articles from a mono colored series I will be creating. For each of the five colors I will be trying to highlight a different approach to deck building. Part one this week is on Blue. You may remember my Talrand list from last season. Well, this week I revisit the list as I actually built and played it. Did it work? Was it fun? Did it get hated out? Where does the final product rank on the WINCON system? 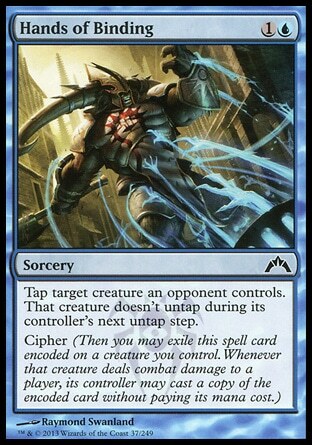 Read on to see how I approached the challenge of building a fun mono blue deck. The Challenges of Mono Blue: As I had mentioned in my previous article, mono blue can be powerful, but also quite stifling and not much fun to play against. I actually liked the concept I came up with and decided to throw together a list with cards I owned. The challenge I set for myself for Blue was to create a deck that didn’t have to combo out to win, and secured victory via creatures. 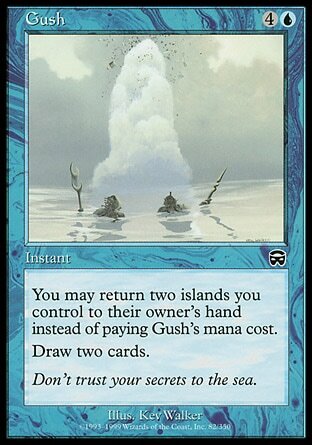 Also, I didn’t want the deck to stifle what opponents were trying to do by going all turbo control on them. I chose Talrand for my general so that I can play cheap spells while creating drakes to swing in for the combat damage win. How Important Is The General: For this build the general is quite important to your overall strategy. If Talrand isn’t in play you aren’t going to be generating drakes with your cheap spells, so you are going to have to rely on the smaller selection of other creatures in this deck to carry you to victory. It certainly won’t be impossible to win without your general, should he be disposed of, but it won’t be as easy without your drake army. WINCON Level: WINCON 4. If you haven’t seen my WINCON rating, check out the chart here . There aren’t any combos or lock down strategies here. You are going to have to win through creature damage. If you also want to build a mono blue list roughly around this power level, beware. It’s very easy to make a couple of improvements here or there and all of a sudden your deck becomes much more potent than you originally planned on. That is the evil side of blue trying to coerce you into doing mean things. Tell it to shut up. How Does It Work: Basically your main strategy is going to be to try to get Talrand out as quickly as possible so you can start building your air force. Playing her and equipping a protective equipment or having counter magic in hand is going to be optimal. Worst case, if you can play her and have mana up for a cheap instant, at least if she gets targeted you can get a drake off your instant so not all is lost. I also recommend saving your counter magic for protecting Talrand and your army. You aren’t aiming to be the big blue game police dispensing counter justice as you see fit. When I played the deck I saved my counter spells for stopping board wipes. The deck is pretty straight forward once Talrand is out and somewhat protected. You can bounce threats, draw cards, and keep yourself alive all while generating more drakes. You Should Play This Deck If: You love blue, but don’t want to go on a combo spree, clone everything or steal everything.dec. You love token armies. You love playing a lot of low CMC spells instead of all bombs. You want a super cheap mana base. You are a fan of vallluuuueeee. You Should Avoid This Deck Like the Plague If: You like big bomb creatures and spells. You fear the stack. You are out of basic islands. You enjoy combos. Strengths: This build can actually come out of the gates quickly if you manage to land a T3 or T4 Talrand with some sort of protection. I built this list with a lot of cheap spells, so you can get those tokens onto the field ASAP. Once your tokens start to build up you have counter magic to protect your dudes as much as possible. If you snag a Favorable Winds off a Muddle the Mixture or equip a big Runechanter’s Pike you can really start to take chunks out of life totals. Weaknesses: Lots of people will try to convince you that blue is the most ungodly powerful color there ever was. That’s mostly true, but once you play this deck you will find it has some weak spots. Blue is great at stopping bad things from happening, or delaying your opponent. If your opponent manages to get some sort of artifact value engine online to start picking off your drakes, there isn’t a lot blue can do outside of bouncing everything in site via Cyclonic Rift. You don’t have the versatility to Vindicate or Doom Blade that nasty threat away. You have to either counter it or bounce it for the most part. Hopefully this buys you enough time to swing in with the dragon-nots. 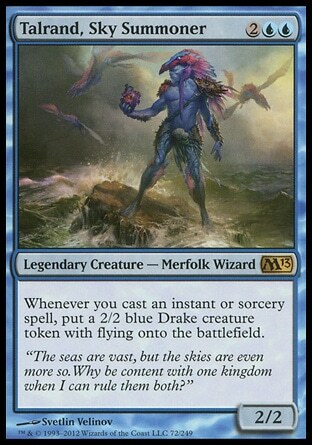 Cast Away: Don’t forget, Talrand triggers off of casting a spell so even if it gets countered, you still get your drake. A copy of a spell is NOT cast in most cases, so copy effects don’t give us as much VAAllluueeeeeee. However, a Ciphered spell IS cast, so we can try to get more drakes for our buck. 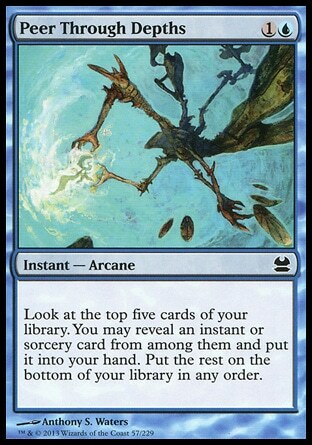 Other cards like Isochron Scepter also provide us repeatable cast triggers. Diluvian Primordial is another example. Cantrips & Draw: One of the dangers of this deck is the cheap spells. If you aren’t careful you can burn out your hand quickly and this is not the list we want to go top deck fishing with. Card draw and cantrip effects will be important to maintain our hand size. If you can keep him alive Windreader Sphinx is going to draw you a fistfull of cards. 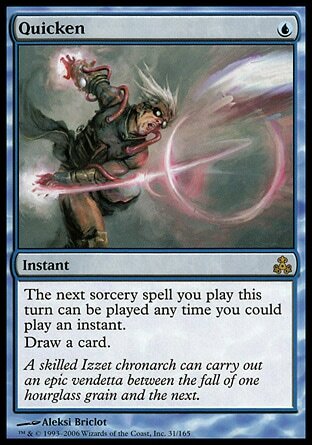 You don’t always need to be casting be draw spells like BSZ, most of the time just replacing your card, with something like Preordain is going to be enough to keep the wind in your sails. I hope you enjoyed this mono blue Talrand list. Be sure to read the rest of my articles this season as I cover all five colors. If you have tried Talrand or mono blue, be sure to leave a comment on your experiences.